★This pennant is loads of fun. 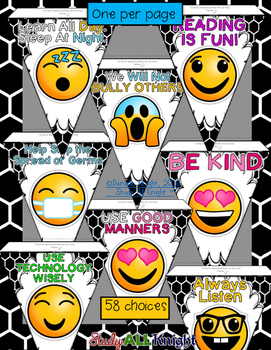 You can use it in your classroom, as well as in the the special area subjects - computers/technology, physical education, health, music, art, and in the media center/library. Ready for you to easily line up by using the directions on how to assemble. The preview shows more! 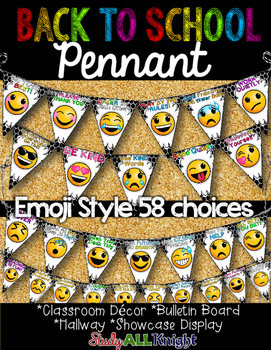 ★58 pennant printables – each flag is a different emoji and highlights a different rule, expectation, positive behavior, and character education. 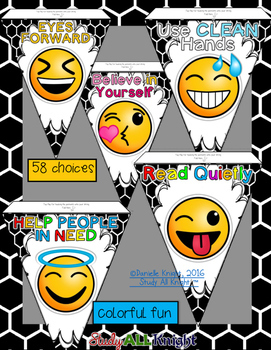 ★Print a few or print them all! Directions are clear and explicit.